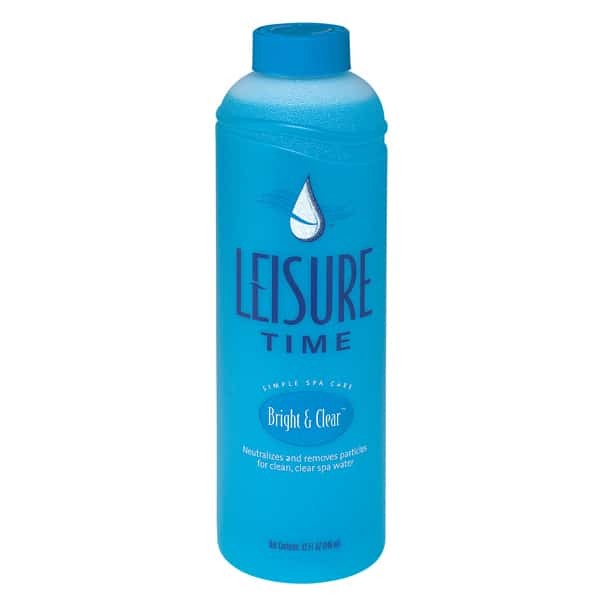 If your spa or hut tub water is cloudy, Leisure Time has a chemical for that. Bright & Clear is a water clarifier that remedies the clouds in spa water that make water look unappealing and unhealthy. Spa and hot tub water becomes cloudy when millions of microscopic particles accumulate in the water. These particles are too small for the filter cartridge to filter them out, so they remain suspended in the water. Bright & Clear collects and coagulates the particles together, making them large enough for the filter to respond to them. Bright & Clear helps bring all unwanted particles to the filter, which enables it to work to its fullest power. You'll enjoy the crystal clear result.